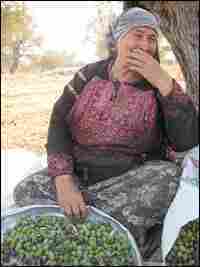 Umm Adnan Yasin holds a metal pan that she uses to separate the leaves from the olives, in the West Bank village of Bili'in. 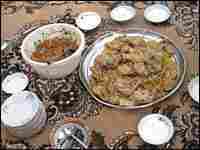 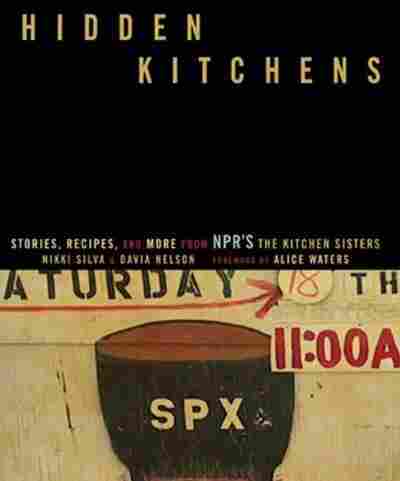 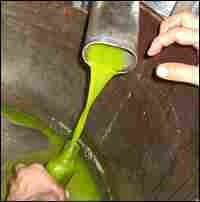 Read recipes and stories about some of the traditional dishes enjoyed during the olive oil season. 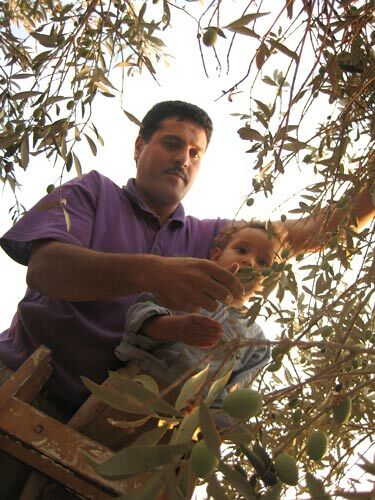 Raslan Yasin harvests olives with his son in a grove in the village of Bili'in, near the Israeli separation barrier. Like many Palestinian professionals, Yasin, a hydrologist by training, takes a break from his job every year to work the family harvest. 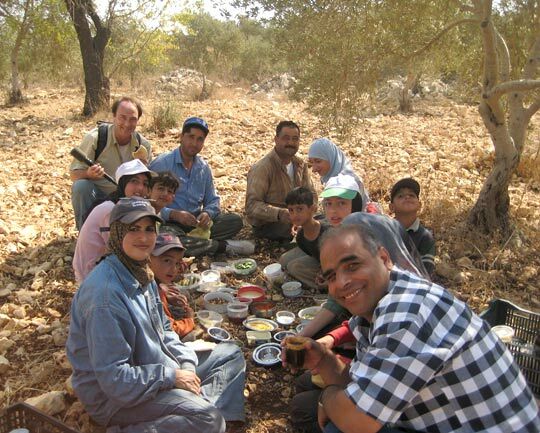 Fareed Taamallah (back left, next to Sandy Tolan), his sister-in-law, Umm Imad (foreground, with baseball cap), family and friends, pausing for lunch under the olive trees in the West Bank village of Qira. 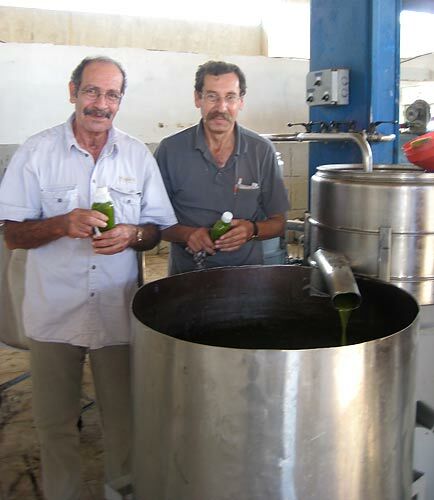 Dr. Maen Odeh (left), agricultural scientist and native of the Palestinian village of Bidya with Musa Salameh, president of the village olive oil cooperative. They are standing at a separator at the olive press, which marks the final stage of extraction. 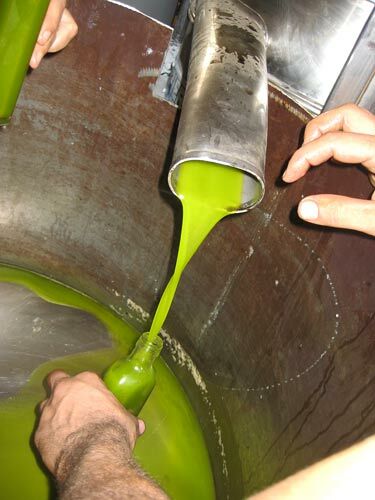 Early-season olive oil is squeezed from a press and bottled in a West Bank village. 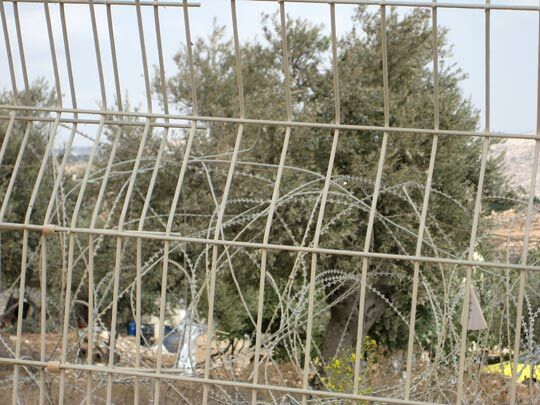 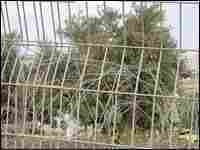 Olive trees are seen through barbed wire, part of the Israeli separation barrier in the West Bank village of Bili'in. 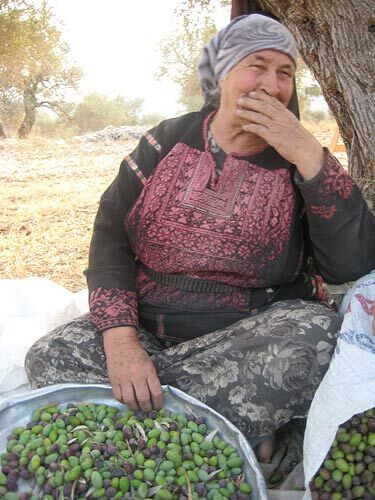 Thousands of trees were uprooted for construction of the barrier, and many Palestinian farmers are now separated from their crops. 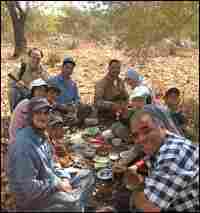 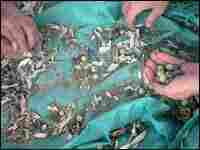 Rabbis for Human Rights and other groups have also documented attacks on the harvest by Israeli settlers. 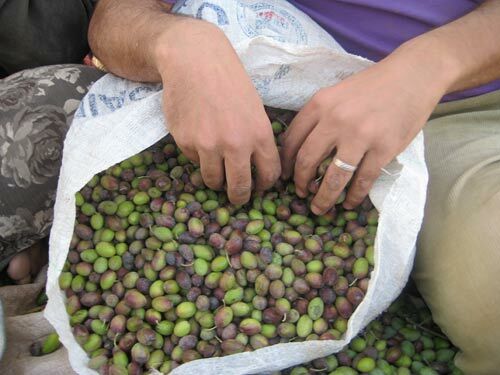 The hands of an Arab villager and an Israeli volunteer, in the West Bank olive harvest. 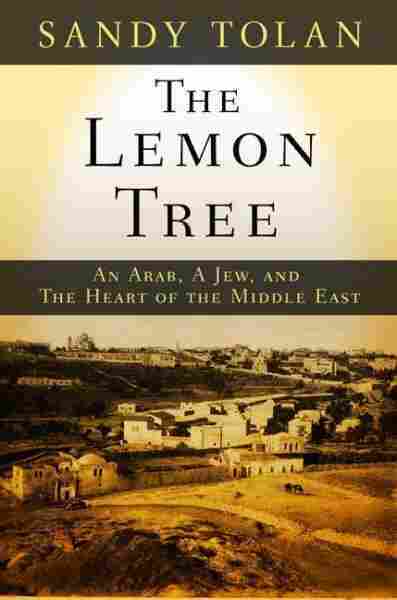 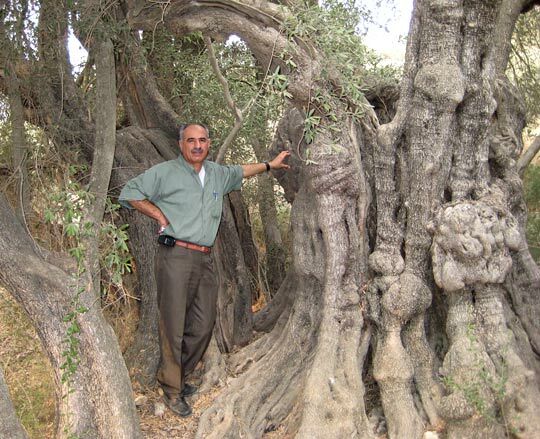 Like many Palestinians, Yousef Sharkawi is an olive aficionado. 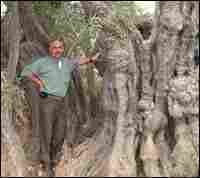 The goldsmith stands near one of the oldest olive trees in the Mediterranean region, in Al Walaja village. 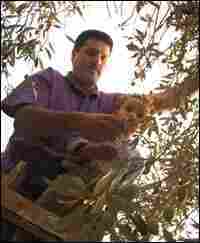 American Friends Service Committee: 'Ziyarat az Zeitoun' (Visiting the Olives).